then you need to try out this recipe! and last night it sounded delicious and I had everything to make it! First you need to make the crust. 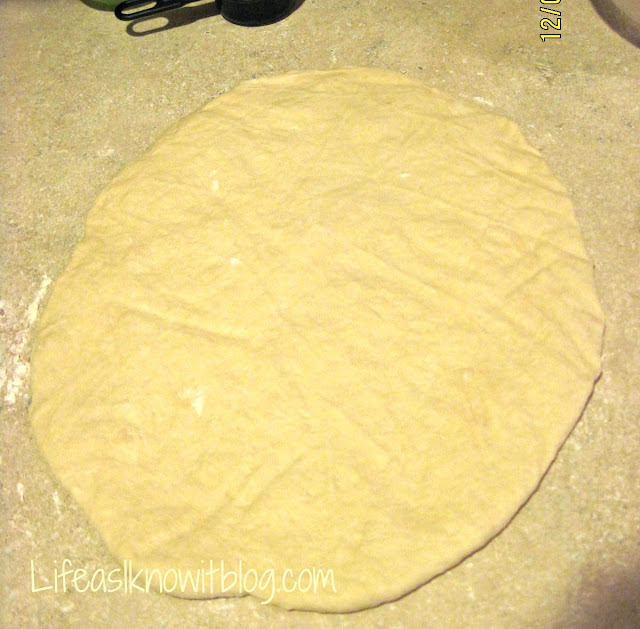 This pizza crust is perfect and I will use it again for sure! In medium bowl, dissolve yeast in warm water. Stir in flour, salt and oil. Beat until smooth. Let stand 5 minutes. Turn dough onto a lightly floured surface and pat or roll into a round. Transfer crust to a lightly greased pizza pan or baker’s peel dusted with cornmeal. 1. In a bowl mix together brown sugar, flour and softened butter. 3. Sprinkle this mixture onto your pizza crust. Let it cool for a moment because it will be HOT! 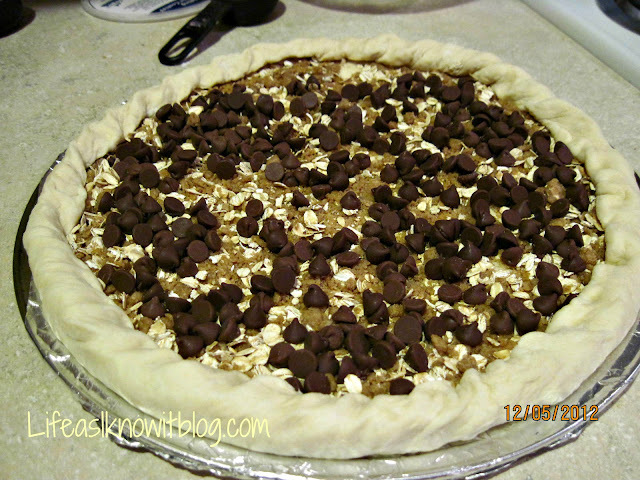 Oh my, this looks delish! 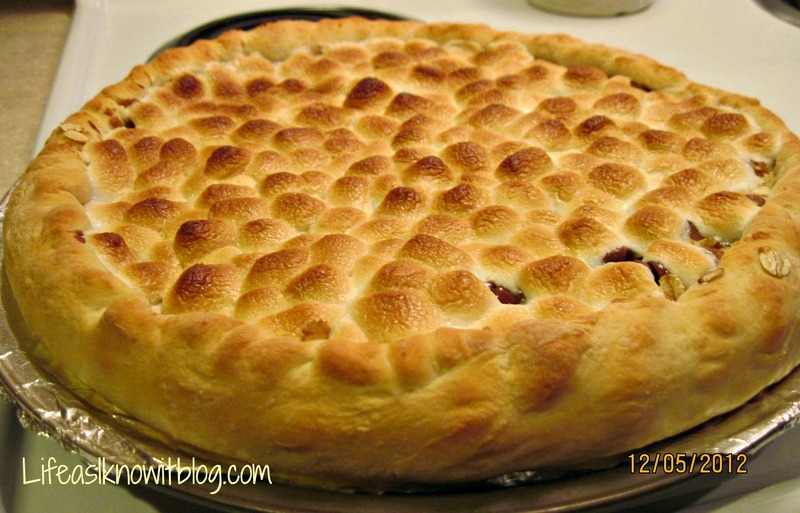 This look so yummy and you used lots of marshmallows which is right up my alley!! YUM! Was it just as good as papa murphy’s or better?? OH MAN!! This looks amazing!! 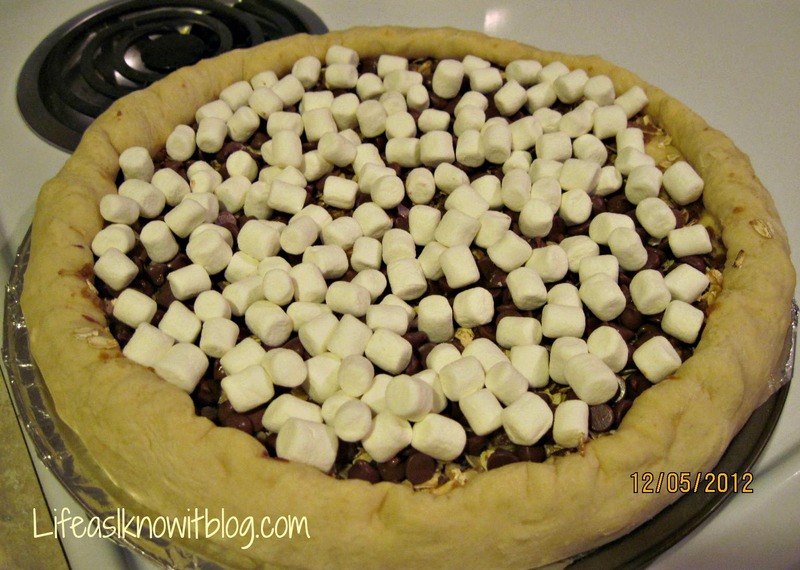 I never heard of a s’mores pizza. I have to try this one day. That looks totally different and also tasty. I’ll try it for sure and let you know. Once one of my friend recommend me this pizza but I didn’t try it but now I thought of preparing it myself at home. 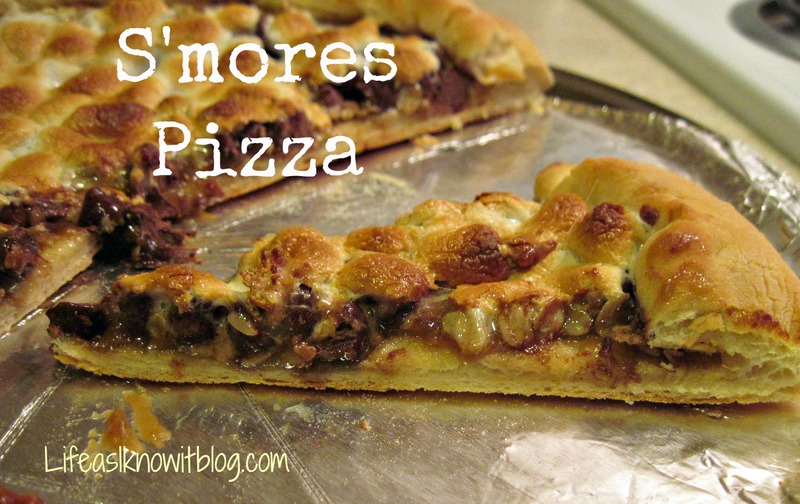 I haven’t tried this S’mores Pizza before, the recipe is a little bit different than normal pizza. Hope to make this soon.